One of my interests is landscaping so this caught my eye on gearbest. 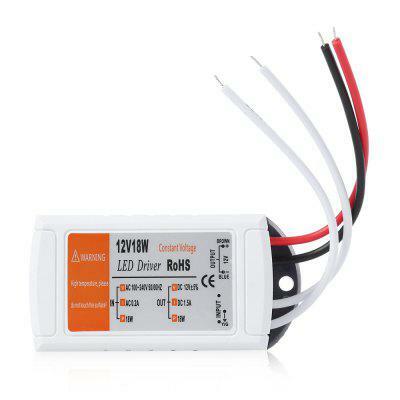 I've been using this power supply for my outdoor LED lighting. It's worked flawlessly (so far) and is great value for money. The design and construction are very workmanlike but it never disappoints. It's very easy to install and operate, no issues whatsoever. Fantastic value and an excellent investment for lighting enthusiasts. der Trafo kam gut verpackt. die ersten Tests mit dem Trafo verliefen positiv. das anschließen ist mit klemmen kein problem. die Verarbeitung wirkt auf den erstrn blick hochwertig. ich kann aktuell noch keine langzeitprognose abgeben. ist eine gute alternative jetzt rauscht der Trafo mit den leds wenigstens nicht mehr. vorsichtig sein beim anschließen, ansonsten keine weiteren Nachteile zu nennen. Драйвер выглядит солидно. Но заявленных 12В не выдает даже без нагрузки. В моем случае с нагрузкой 15W напряжение 11,8 В. Скорее всего, в большинстве случаев это не так критично, но в моем нужны все 12 В. Ещё думаю, что подключать больше 1,2-1,3 А не стоит - перегреется. Делая заказ, думаю, это надо иметь в виду. А так, в принципе, отличный внешний вид и цена. I have my LED lights providing some much-needed uplighting my house porch and also trees. This affordable transformer worked right out of the box. No drama, no fuss, it just worked first time (every time). Quality is good so I will probably buy a few more for house interior. Good deal from gearbest. Works really nice. Just be aware that the wattage on this one is only for 1 or 2 meters of LED strip depending on the strip. It works with higher wattage comsimption but it gets really really hot so be careful with the wattage draw.